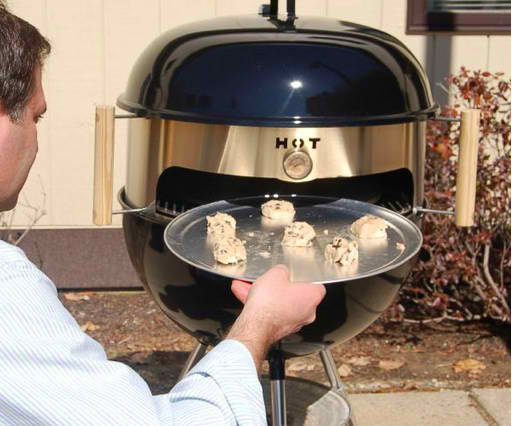 In collaboration with the grill masters at KettlePizza, we're firing up one KettlePizza Pro Kit--a nearly $300 value--for 1 lucky Dude reader. Enter using the quick and easy form below, and we'll draw a winner at random at the end of the entry period. 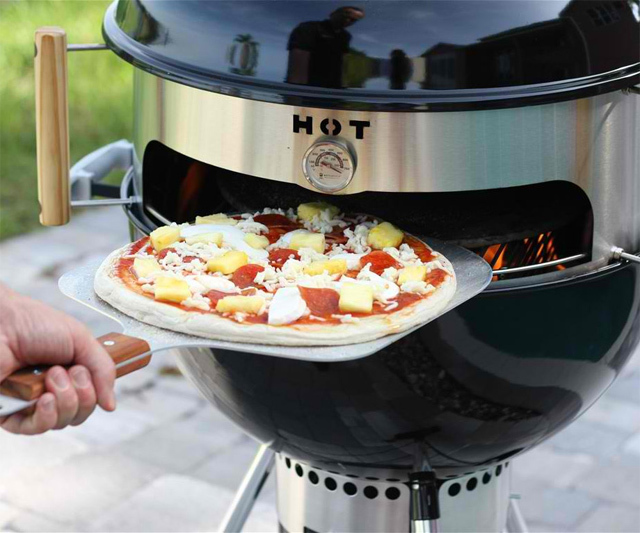 Read on to find out what kind of toothsome creations the KettlePizza will assist you in conjuring. 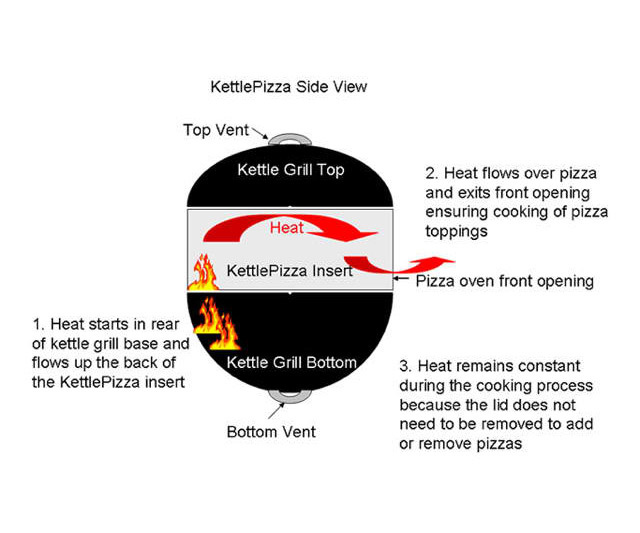 Note: The KettlePizza giveaway is open to US residents only. 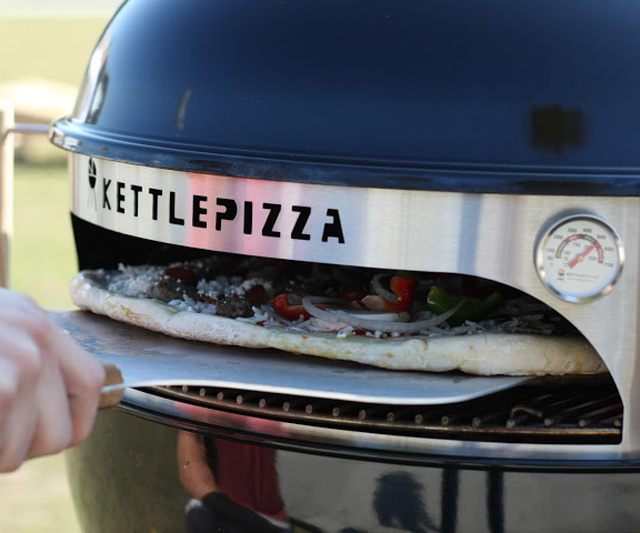 The KettlePizza insert takes homely, mediocre 22-1/2" kettle grills, such as Webers and Stoks, and magically transforms them into flashy, gourmet, pseudo-woodfired pizza ovens capable of putting New York slices, Chicago deep dish, and even the new Domino's to shame. 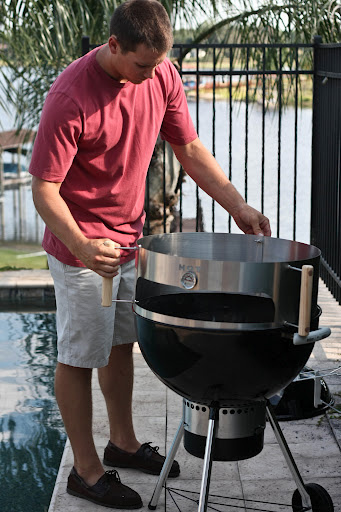 KettlePizza's stainless steel sleeve fits between the grill bottom and lid, establishing a cooking chamber capable of reaching and maintaining temperatures of over 750 degrees F, powered by either charcoal or hard wood heat sources. With the addition of a pizza stone, homemade pies taste of saucy, smoky, straight-from-a-sweaty-Brooklyn-hole-in-the-wall perfection in 10 minutes or less. And should you get a wild hair in your sweet tooth post pie consumption, feel free to use the KettlePizza's dragon breath to flash bake a batch of cookies for dessert. If you would like to be notified of future giveaways, just take a minute and create an account and we'll email you when the next giveaway is starting. 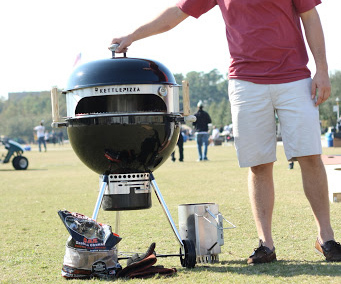 Are you an online retailer with a Dudeworthy product you'd like to grace upon our readers? Consider a Dude Giveaway partnership! Click here for details on prerequisites, giveaway procedures, and our contact information.